Promotional Umbrellas - does size matter on all branded umbrellas? Does Size Matter for Promotional Umbrellas? Here at Brollies and Parasols we are attempting to answer the eternal promotional umbrellas question – does size matter? From our XL golf branded umbrellas to our super mini ultimate printed umbrellas, does the size of the umbrellas matter to your business? If you think about the question long enough, your head will start hurting. So, we are going to take all the thinking out of promotional umbrellas for you. First question you need to ask yourself is location. Are the printed umbrellas going to be used in the city or out in open space for an event? 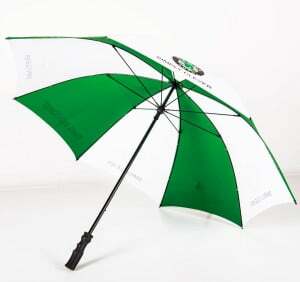 If your branded umbrellas are never going to leave the city then why opt for golf promotional umbrellas? With huge canopies which will simply get in the way when walking down the high street. 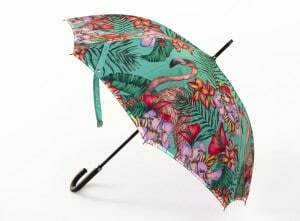 The size of the printed umbrellas has to fit the end use purpose succinctly. So if the umbrellas are for urban areas, more compact branded umbrellas are best. Promotional umbrellas such as the Uber FibreStorm Walker or Uber Mini Golf are going to suit your requirements a lot better. Walker umbrellas are still big enough to fit two people under it but not too heavy or big and won’t cause chaos when the user walks through a crowd! Telescopic umbrellas are ideal for people who like the security of carrying an umbrella around at all times – clever thinking if you live in the UK! Now if you are look for a branded umbrella that is going to be used on walks, golf courses or beaches, then our Uber Golf Promotional Umbrellas are the one. They are designed for the often-seen sideward rain that we have here in the UK! You get exceptional coverage, strength and durability. They make ideal walking props too! Browse our full range of Golf Printed Umbrellas.